In the first half of 2011, Barbara and Victor did a lot of work in our garden. 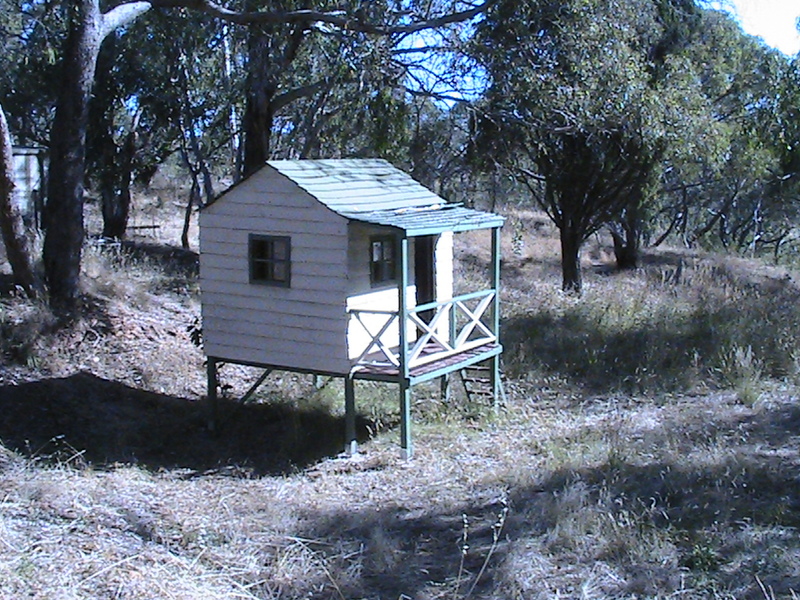 We started some veggie patches, removed trees, removed heaps of barbed wire fencing from around our "inner" garden, and, with enormous help from Daniel, erected a chook house, though we haven't got our chickens yet. With help from our neighbour, we replaced the fence along our roadside boundary. The summer was relatively cooler once again, with only a few brief episodes over 40 degrees centigrade, probably as a result of "La Nina". Victor completed his orchestral composition "West to East", inspired by our 2010 trip to USA and Canada. The good news is that the conductor of one of Adelaide's fine Orchestras has agreed to rehearse and record the 2nd movement of this work next year! We also undertook a partial kitchen renovation, with a new induction cook top, dishwasher, wall oven, and bench-top. 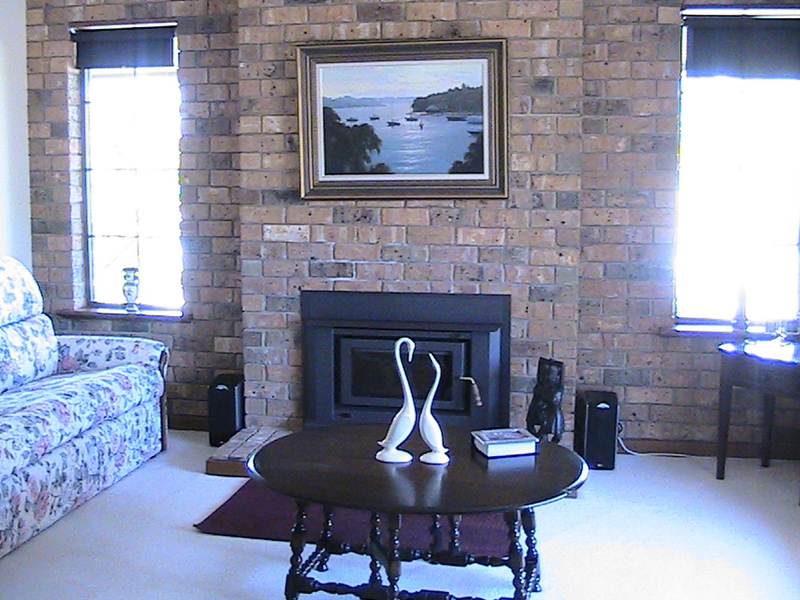 And we had a new combustion heater installed into the open fireplace in our lounge, so we can now heat both ends of our house using our own log supply, instead of using electricity. 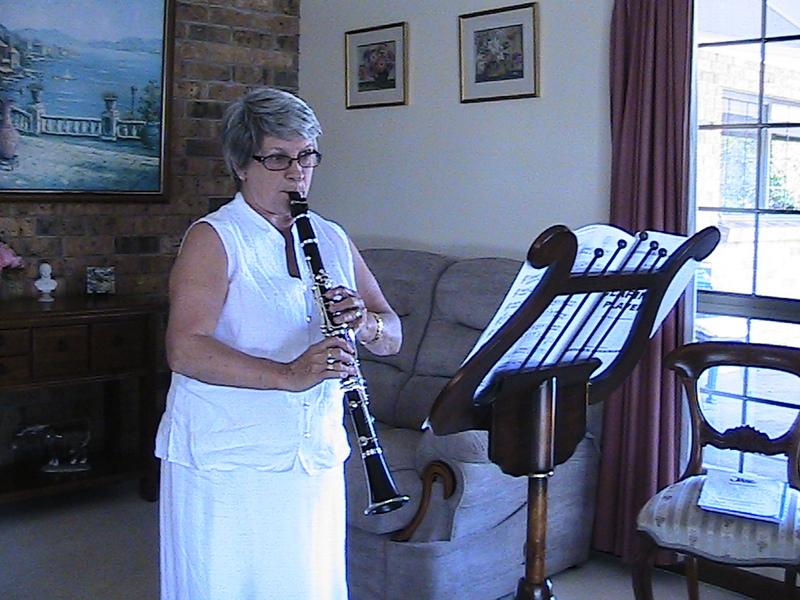 Barbara continues to enjoy playing the clarinet, and is continuing with her lessons though not planning any further AMEB exams. We are happy to play piano/clarinet duets together, and Barbara seizes the opportunity to play with others whenever possible. Barbara has inherited a saxophone from grand-daughter Samantha, and hopes to learn to play this as soon as it has undergone a major service. As an aside, we visited the birthplace of Adolphe Sax, inventor of the saxophone, in Dinant, Belgium last June. We saw the museum dedicated to his memory "La Maison Du Sax". 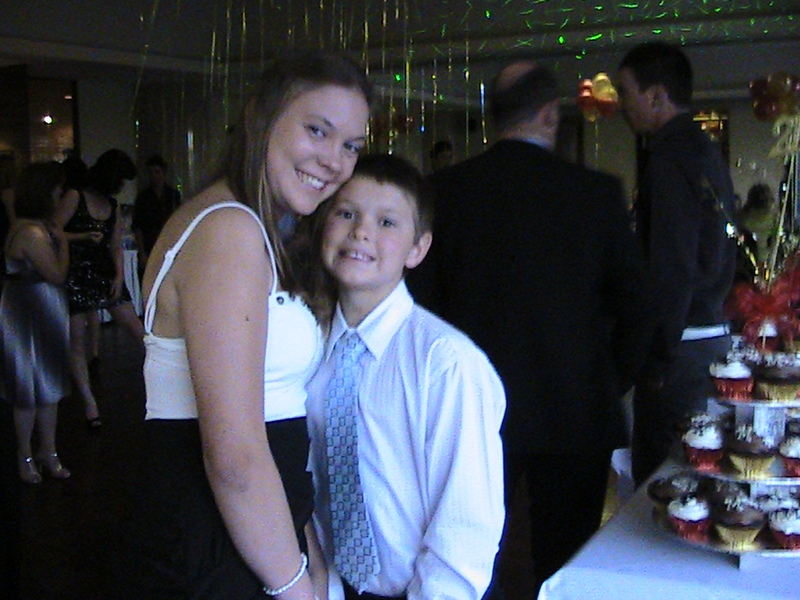 We had a visit from the Glenies (ex Sydney) in January, for the significant occasion of Paul and Melissa Nagel's 21st birthday party at the Stamford Hotel in Adelaide. 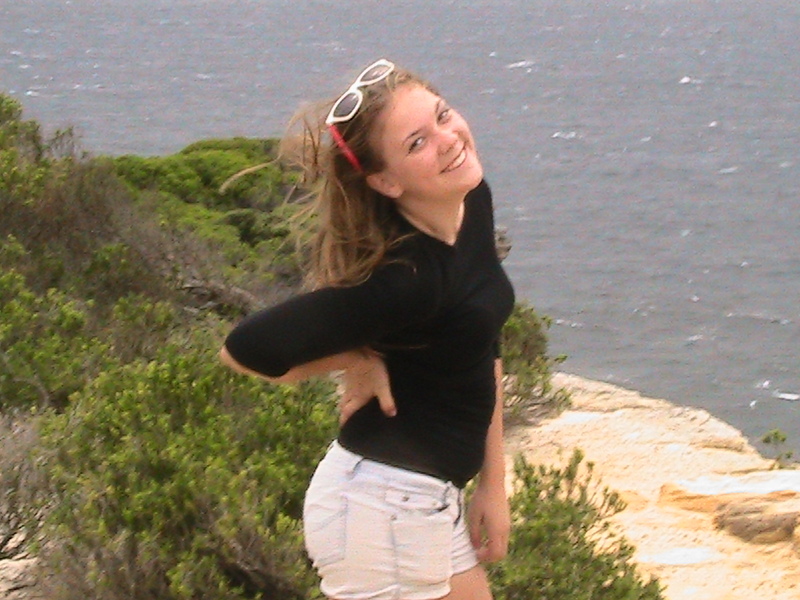 Then in May Barbara flew to Sydney to stay with them. They paid us another brief visit at the end of September, we stayed with them in Sydney just last week, and they'll stay another day or two here just after Christmas. So despite the distance of 1580 kms between Adelaide and Sydney, we manage to keep up pretty well with Kim, Russell, Samantha and Alex! Karen, Mathew and Daniel came to stay with us in May. 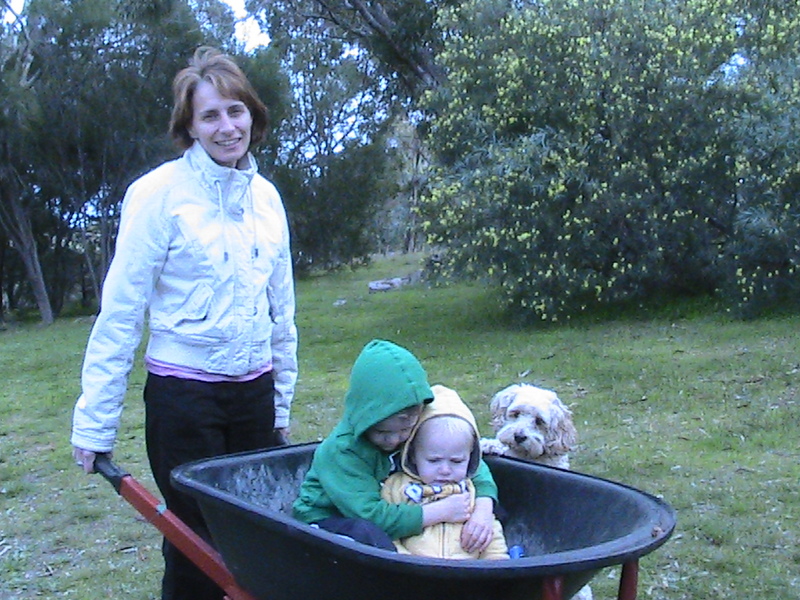 The boys enjoyed helping collect logs from around the property, and rides in the wheelbarrow. 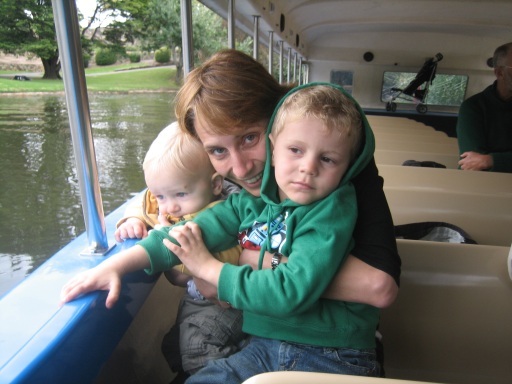 One day Victor, Karen and the boys went to Adelaide and enjoyed a ride on Popeye, a cruise launch which tours Lake Torrens in the centre of the city. We hadn't planned any international travel in 2011, but we changed our minds and in early June we flew to Paris, then took the train to Belgium, to join Robert on his boat "Misty". 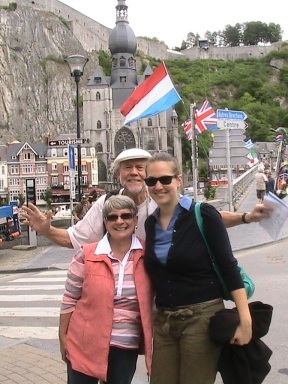 We toured canals and rivers, crossed into France and were joined in our 2nd week by Robert's daughter Annalise. Later Barbara and Victor hired a car, and toured central France in a wide arc south of the Loire to escape the rain and cold weather. Finally we settled into a nice cottage in the centre of Brittany for two weeks, from which we visited St Malo, Mont St Michel, Quiberon and Finistere. Have a look at Victor's separate blog about this trip. 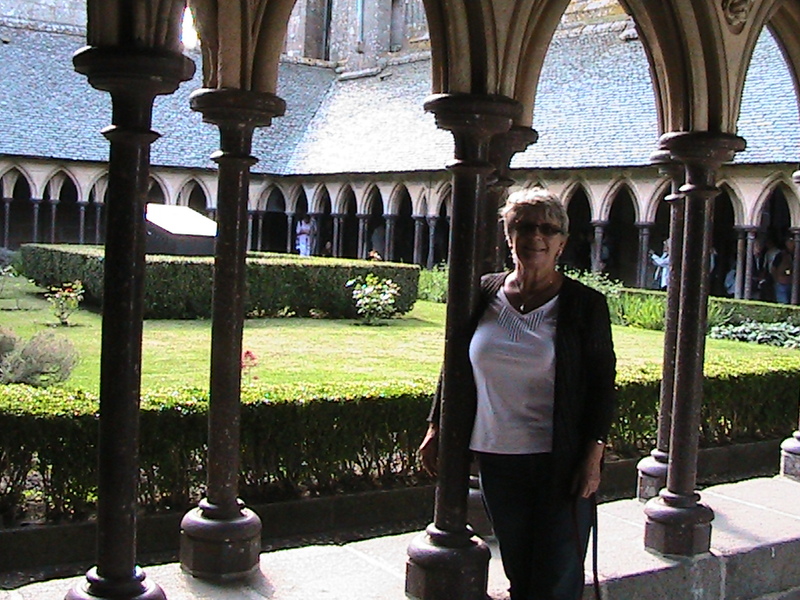 Barbara, Robert and Annalise in Dinant, Belgium, June 2011 Barbara in the cloisters at the very top of Mt St Michel. 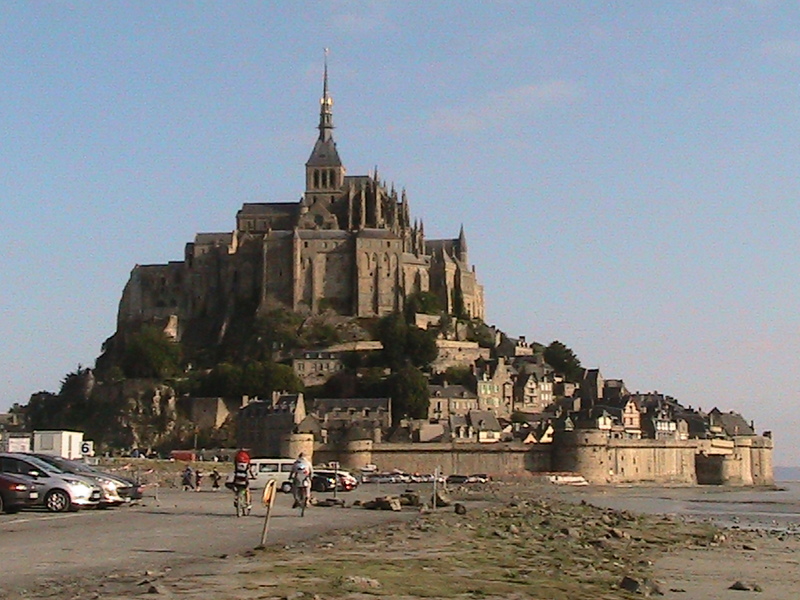 Mont Saint-Michel, Britanny, France. 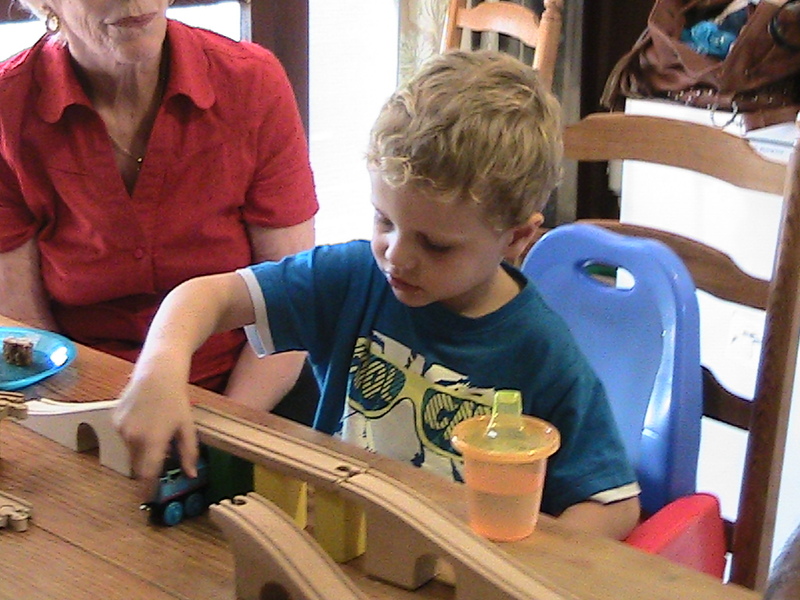 In September we had a visit from cousin Frances and Roger, from Cambridge. 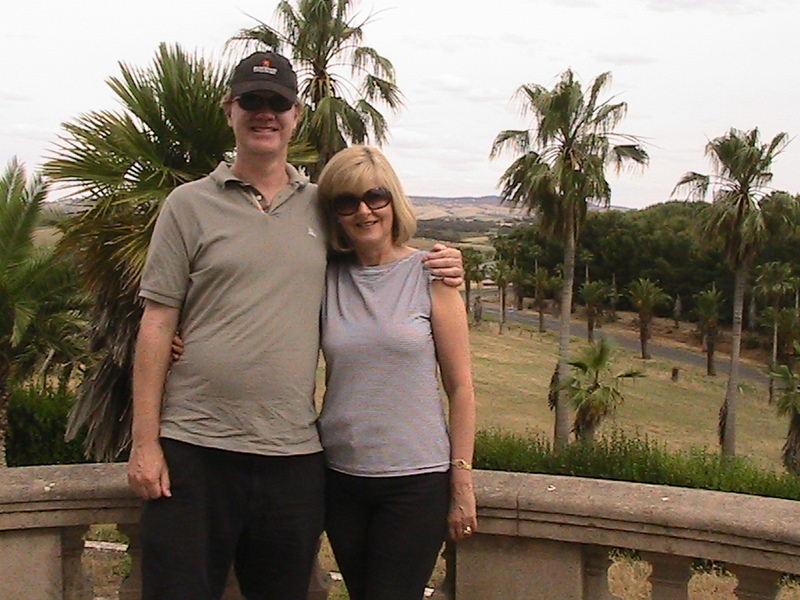 We toured the Barossa Valley, where Frances and Roger were fascinated by the evidence of the early settlers from Germany, especially in the hamlet called Gomersal, (formerly called Mecklinburg) which boasts a winery, a school house, and a graveyard where all the tombstones are engraved in German. 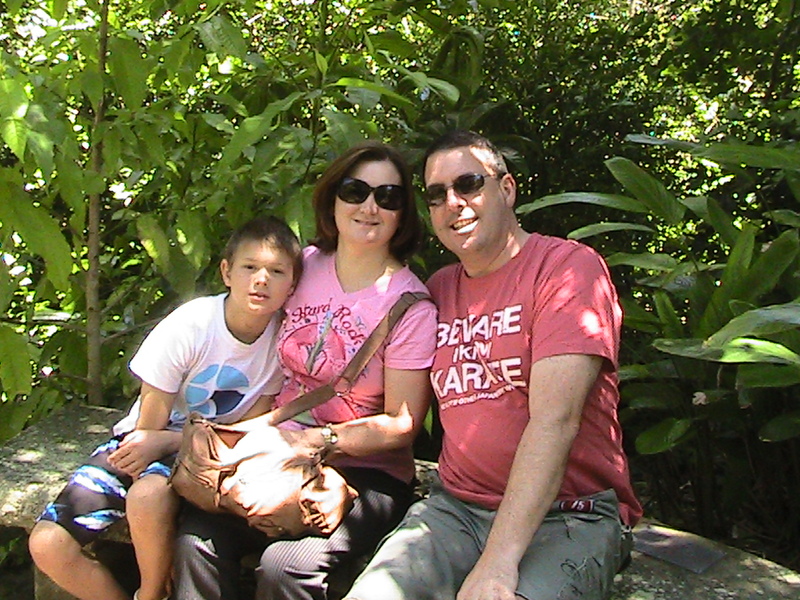 We had a day at home, chain-sawing logs, swimming, and BBQing by the pool, and a day in Adelaide where we attended a symphony concert with them. 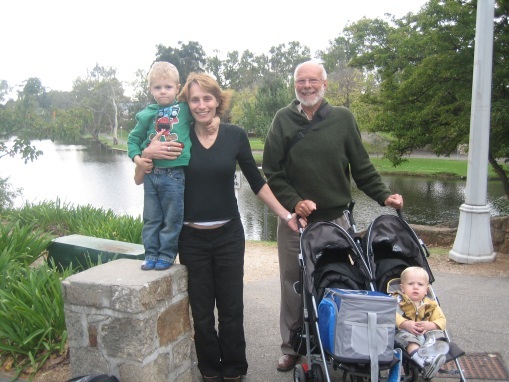 It was great to see Frances and Roger again, 2 years since their last visit to us in 2009. 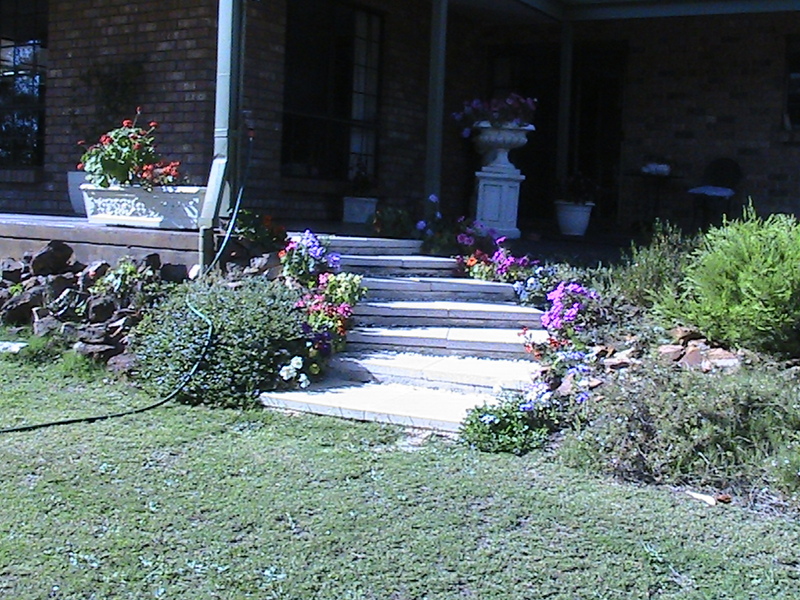 In October Victor constructed some new steps through a rockery near the front of our house. Delphine (Victor's 1st cousin once removed) and Charles, from Seattle, visited us in November, with their daughter Leonora and her fiancé Jesse. We enjoyed a day touring the Adelaide Hills including the peak of Mt Lofty and then a walk around downtown Adelaide. 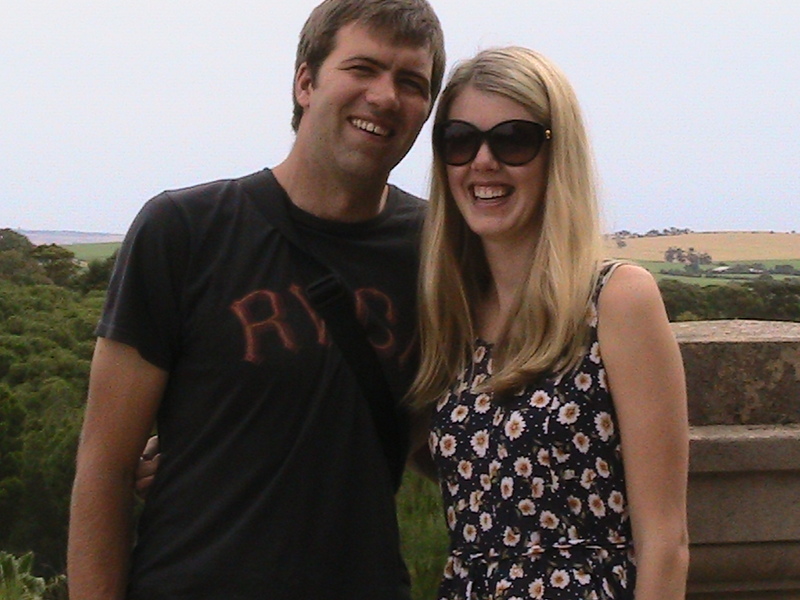 The next day we did a wine-tasting tour of the Barossa Valley. 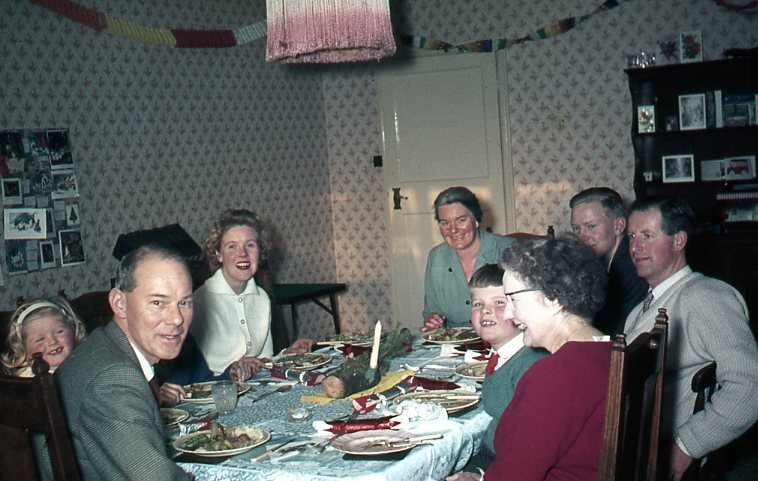 Victor was able to show Delphine some digitised photos created from colour slides taken at Christmas 1962, in which Victor's mother Eileen brought in the Christmas pudding. At the table were Auntie Mary, cousin Margaret and John, Delphine and Richard, as well as Robert, Alan and Victor's father Frank. Watch this movie of their visit. 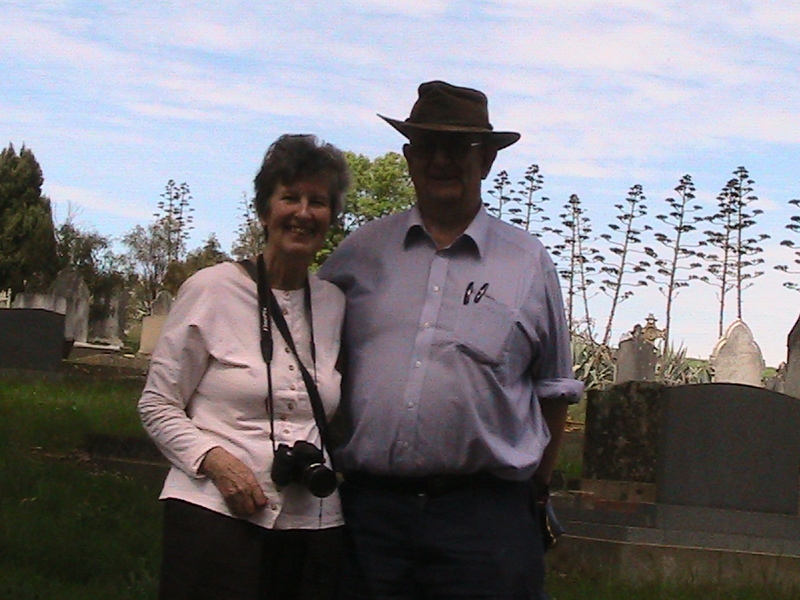 Victor and Barbara then headed North in our Ute, driving 3500 kms to Yeppoon QLD, where we used to live. 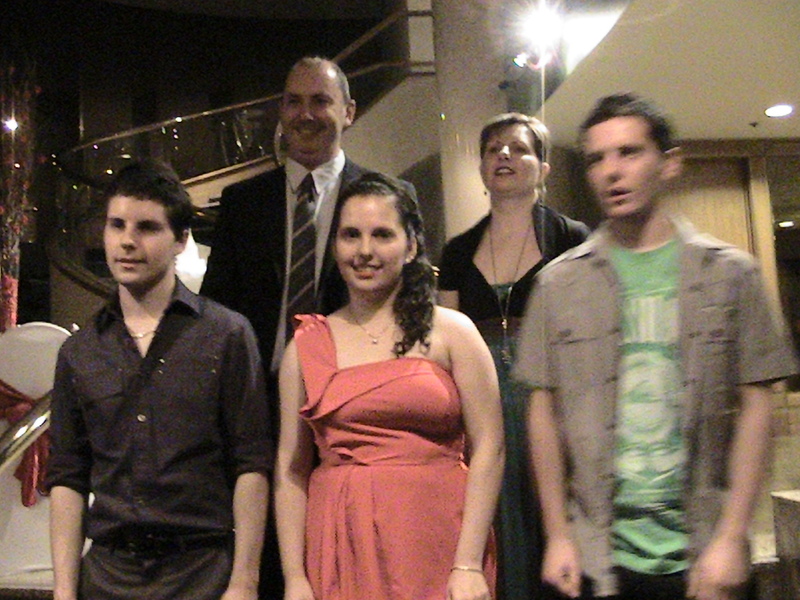 We met old friends from the Rockhampton Chamber music group, and took the ferry across to Great Keppel Island. 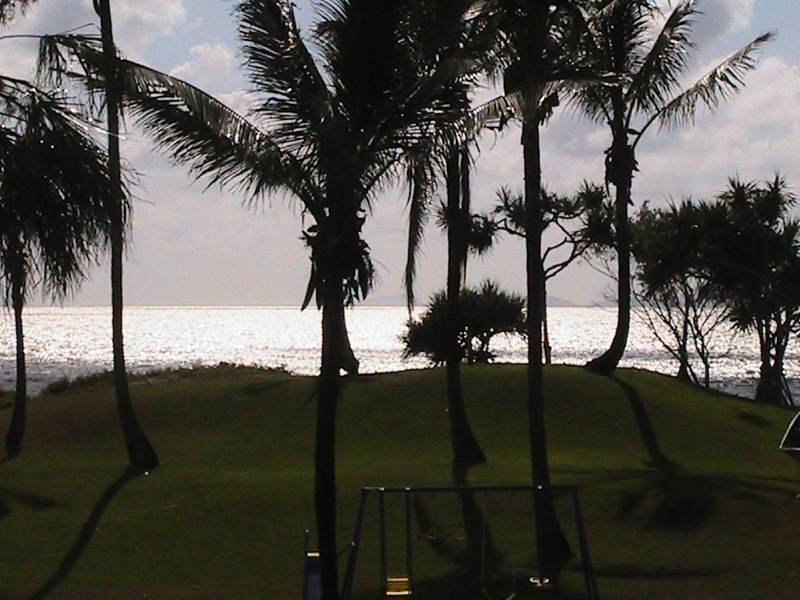 Watch our movie of Yeppoon and Gt. Keppel Is;and We then drove South to Ipswich and stayed with Karen and family. Here's our movie of our Ipswich stay with Karen. 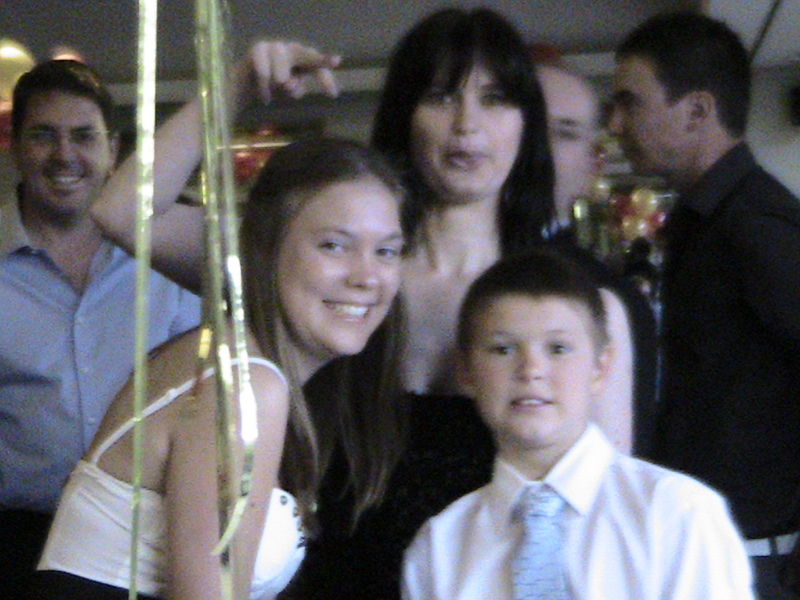 It was great It was great to catch up with Karen, Lee, Olivia and the boys Mathew and Daniel. Then we continued south to Sydney to catch up with Kim, Russel, Samantha and Alex. 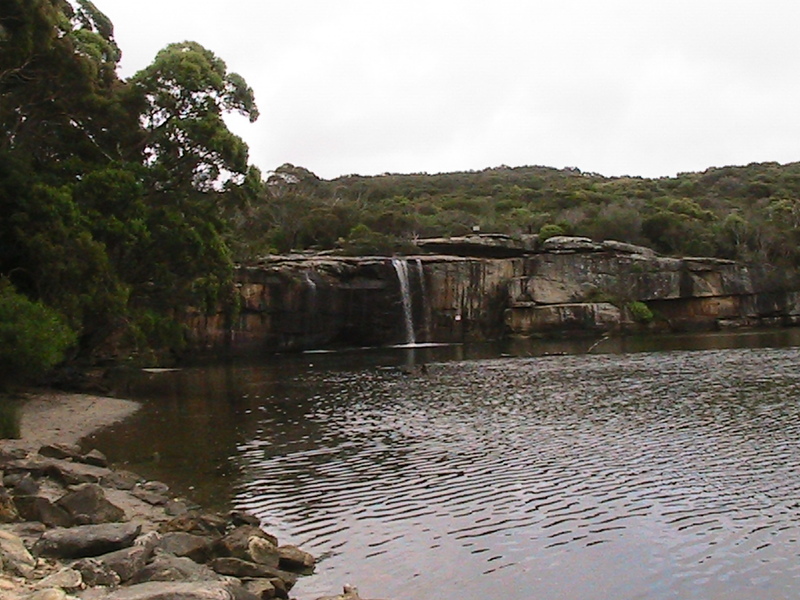 Breakfast by the beach at Wattamola in the Royal national Park was one of the highlights of this visit, Watch this movie of our visit to Wattamola with the Glenies in Sydney. as was the Camelia garden in Miranda. We finally reached home on 8th December. In these 24 days we drove 6,200 kms, sadly Victor acquired a serious back problem and the journey home was very difficult. After all the year's hectic activities, we spent a quiet Christmas Day at home. 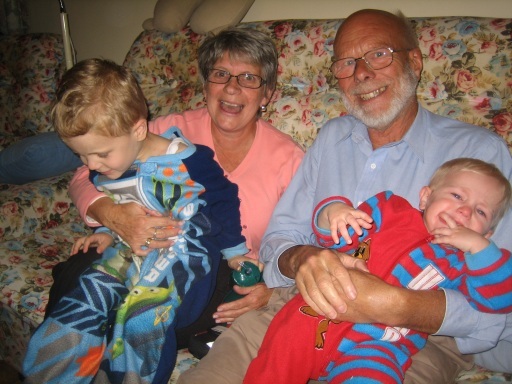 Then on Boxing Day we joined a big reunion of Barbara's family at Angela's home in the Barossa, and we then enjoyed a short visit from the Sydney Glenie family. Our New Year's Eve was spent quietly at home. Happy New Year for 2012 to everyone!